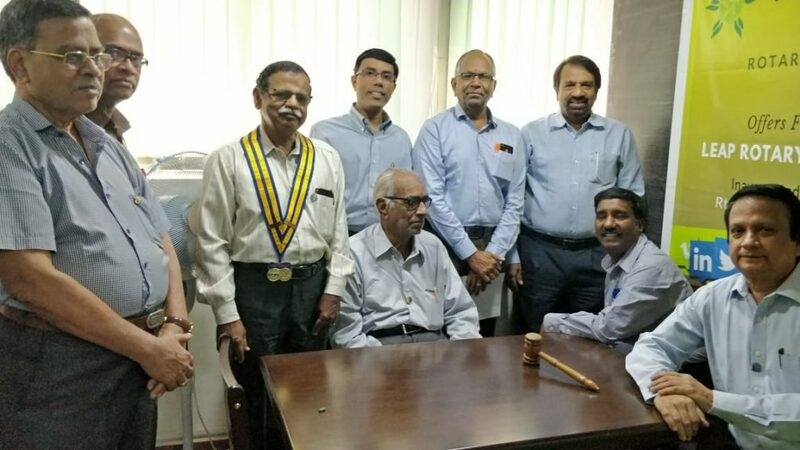 Startup Xperts and Rotary Club of Chennai Green City RI3232 launched the flagship LEAP Digital Marketer Programme. This program is aimed to impart the right skills and help expand employment opportunities for those who has interest in the field of digital marketing. The Digital Marketer program was inaugurated by the District Vocational Services Director Mr Ganesan, the President Mr Manohar, Vocational Services Director Mr Shyam Sekar (Founder & CEO of Startup Xperts), and the Club Trainer Mr SN Balasubramanian. While inaugurating Mr Ganesan heartily appreciated this flagship initiative as this field has tremendous potential and trending ones. Mr Shyam explained as to how digital marketing can help in their employment, and as to how it can help businesses, entrepreneurs, to create brand, reach customers, expand business in the quickest time. This program is provided absolutely FREE of cost which otherwise could be upwards of Rs 30,000 and provides hands-on training on various aspects of digital marketing for a period of 3 months. This programwas widely appreciated for its vision, focus, the cause and the impact it can create over time.